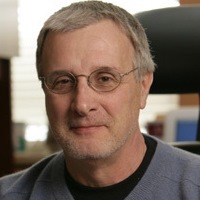 2006-present Adjunct Professor of Biochemistry & Molecular Biology, Indiana University School of Medicine, 1996-present Director, WM Keck Center for Transgene Research, University of Notre Dame, 1983-present Kleiderer/Pezold Professor of Biochemistry, University of Notre Dame, 1979-2002 Dean, College of Science, University of Notre Dame, 1977-1983 Professor, University of Notre Dame, 1974-1977 Associate Professor, University of Notre Dame, 1970-1974 Assistant Professor, University of Notre Dame, 1968-1970 NIH Postdoctoral Fellow, Duke University, 1968 Ph.D. in Biochemistry, University of Iowa, 1964 B.S. University of Scranton.
" In Vitro and In Vivo Relationships between Hemostasis and Inflammation"